Change it up & add flavor to your summer grill-out with our Roasted Cauliflower Sweet Potato Salad. We all love the good ‘ol classic potato salad, but why not try something new?! 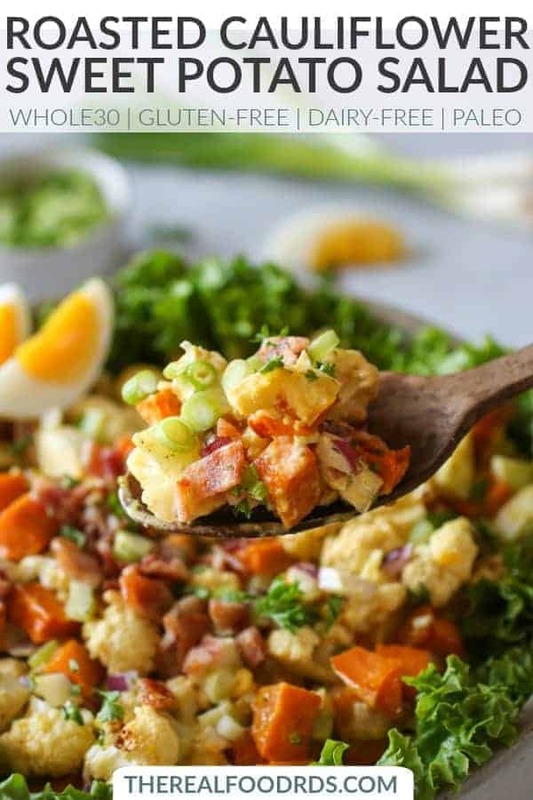 My love for sweet potatoes was the driving force behind the creation of this Roasted Cauliflower Sweet Potato Salad. Now don’t get me wrong, I’m a big fan of the classic potato salad, but I also like to change things up with difference spices and ingredients from time to time. 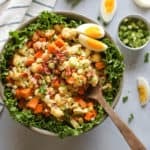 This salad will remind you a little of the classic potato salad, but with its own flavorful twist. And while I’m focusing on grill-outs and potlucks in the post because…it’s summer, this salad can certainly be enjoyed all year round! 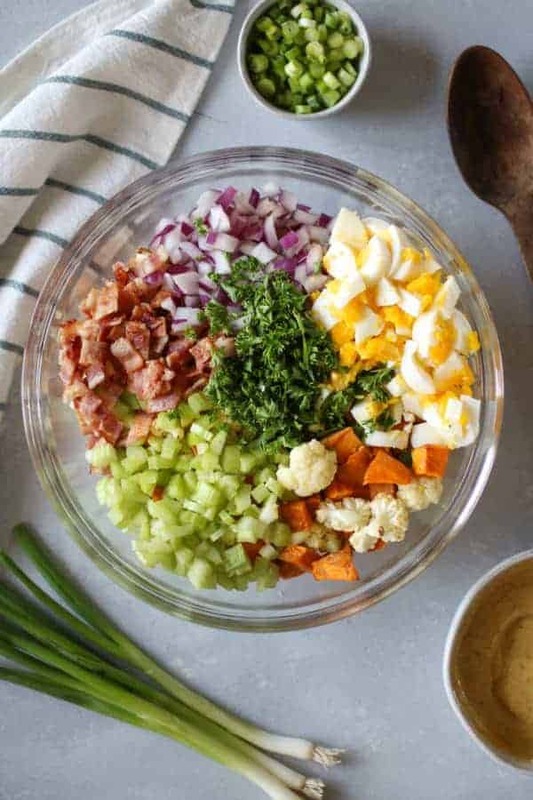 The combination of real food ingredients in this salad creates a bursting-with-flavor experience. 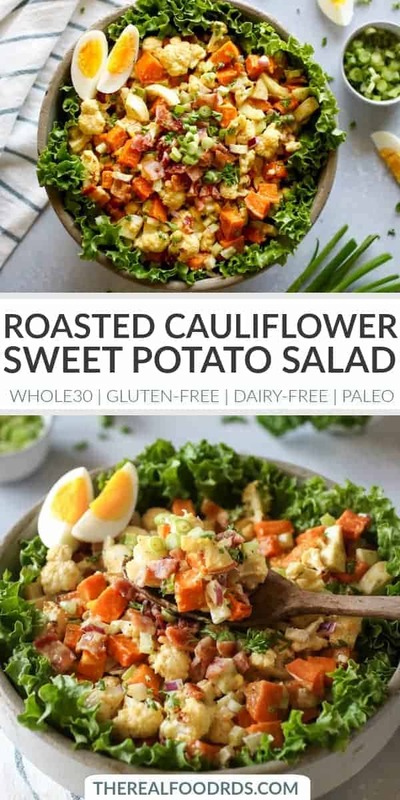 Roasted Cauliflower Sweet Potato Salad has a balance of sweet from the roasting of the sweet potatoes and cauliflower and savory flavor from the salty bacon and dressing. When I first created this recipe way back, I left the cauliflower raw. However recently, I found that I prefer the texture of the roasted cauliflower over the raw. 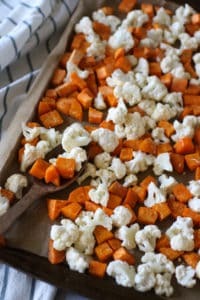 To roast the cauliflower, simply add the cauliflower to the sweet potatoes halfway through the suggested baking time. You want the sweet potatoes to be partially cooked through as they have a longer roasting time than the cauliflower. Crisp bacon adds delicious flavor, but it’s totally optional. Feel free to omit it if that’s not your thing or if you’re looking for a vegetarian-friendly salad. You do YOU! 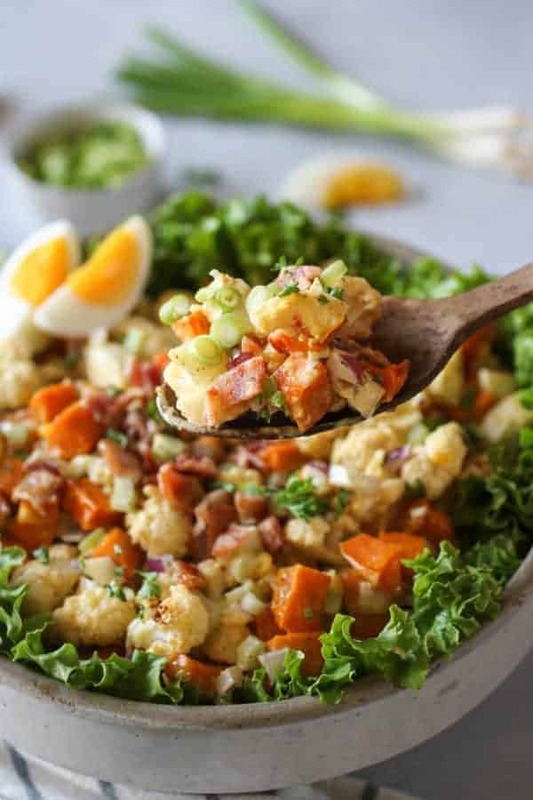 Cauliflower Sweet Potato Salad is studded with pieces of salty and crisp uncured bacon. It adds just the right amount of savoriness without being too overpowering. If you’re looking for a vegetarian option, I’d recommend adding smoked, chopped almonds for a similar flavor and experience. So good! 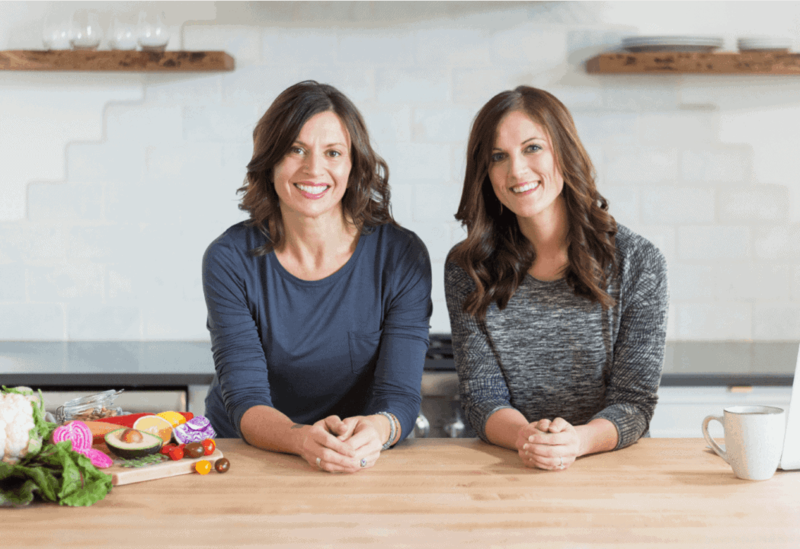 For a no-sugar and uncured bacon, we recommend Applegate. 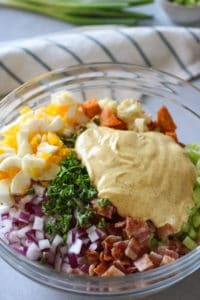 The dressing is made simply with a combination of mayonnaise (such as Homemade Mayo or Primal Kitchen), mustard, apple cider vinegar, curry powder (trust me, it’s good), paprika, garlic powder, sea salt & pepper. 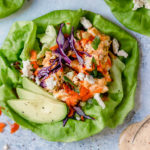 It’s tossed and coats the salad ingredients perfectly creating an incredible, unique and delicious flavor. Take this salad to your next summer gathering! 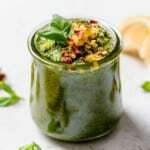 This is a must try and share recipe. 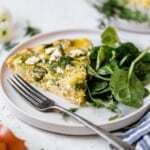 Whether it’s a dinner night with friends & family or a summer gathering or picnic, it will be a delicious highlight to any meal and will likely be a new favorite and go-to recipe. Are you ready to give this Roasted Cauliflower Sweet Potato Recipe a try? 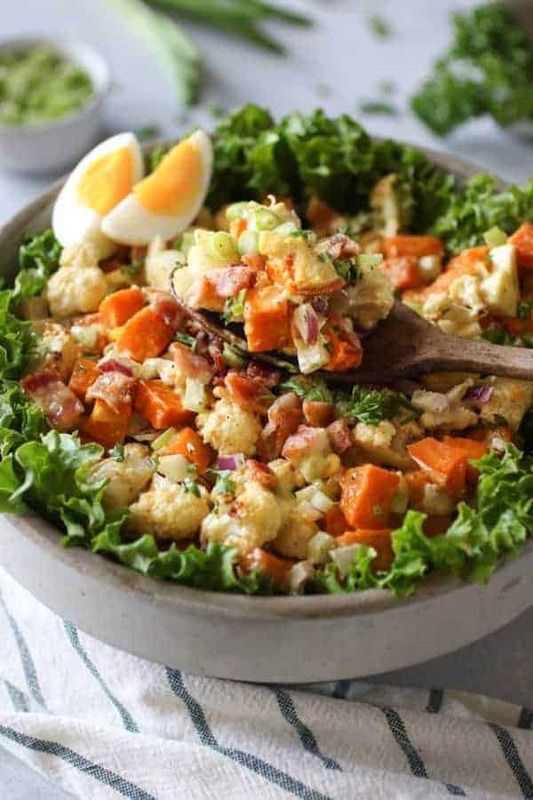 This Roasted Cauliflower Sweet Potato Salad is a delicious twist on the traditional potato salad. 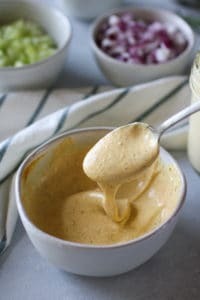 The combination of ingredients that are tossed in a creamy mayo dressing creates a burst of flavor that’s hard to beat. Serve this at your next summer gathering! Preheat oven to 375°F. 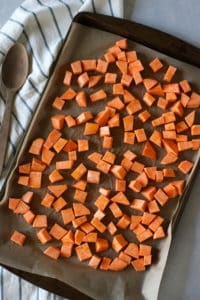 Peel and cube sweet potatoes, then toss with half of the oil. Bake for 10 minutes. Remove from oven, add cauliflower and remaining oil and toss. 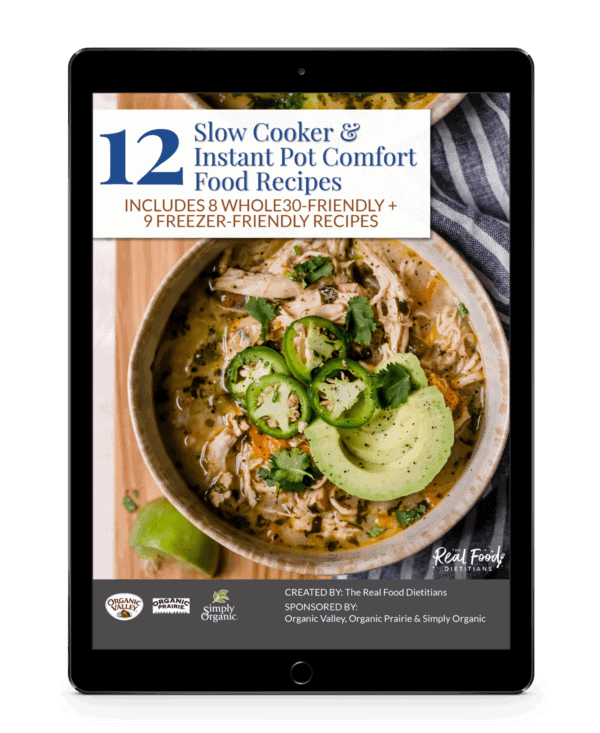 Bake for an additional 12 minutes or until sweet potatoes are tender. Remove from oven and cool. Meanwhile, combine salad ingredients in a large serving bowl. 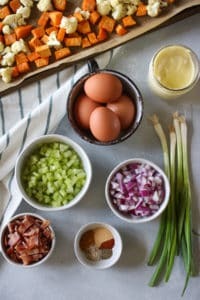 Mix dressing ingredients in a separate bowl. 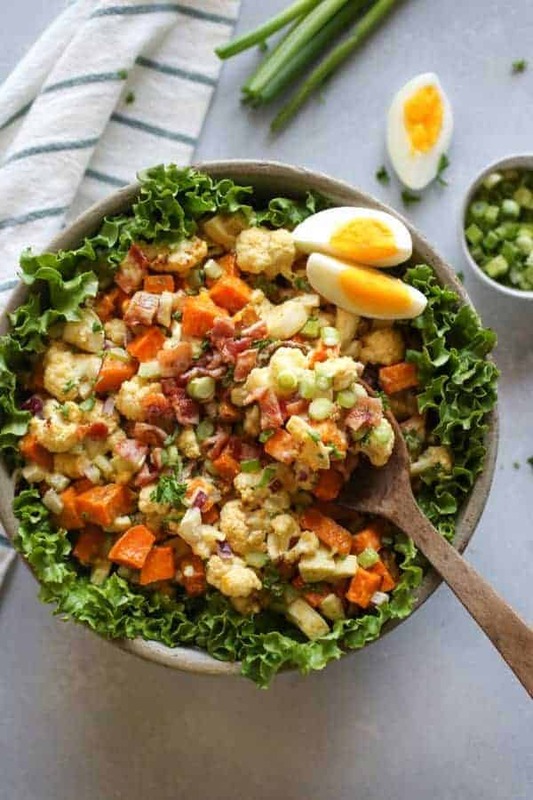 Add dressing to the salad ingredients along with the cooled roasted cauliflower and sweet potatoes, and toss together until evenly coated. 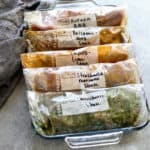 Chill in refrigerator for at least 30 minutes to allow flavors to mingle. Top with chopped green onions, paprika and and crisp bacon if you wish. Prep ahead tips: Do these steps a day or two before you plan to serve this salad. Roast the sweet potatoes and cauliflower. Let cool and then place in an air-tight container and refrigerate. Recommend doing this step just one day before. Pre-chop the celery, red onion, and green onion 1-2 days before on the menu. Store in an air-tight container and refrigerate. Make the dressing. 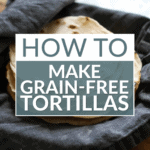 Store in an air-tight glass container or mason jar and refrigerate for up to 1 week. It’s only Whole30 if you make your own mayo, find dijon mustard WITHOUT white wine, and bacon WITHOUT sugar! It would be worth it to mention that in case someone doesn’t know all the rules. The recipe says to finely chop the cauliflower. Would it work with cauliflower-rice? Chopped cauliflower would work best! I’ve never tried it with cauli-rice. But if you do, let us know how it turns out! Enjoy! Do you cook the cauliflower? Last time I made this I used roasted florets but rereading I realized maybe they are supposed to be raw? Stacie leaves the cauliflower raw in this recipe though you could cook them a bit before adding them if you don’t want so much crunch. 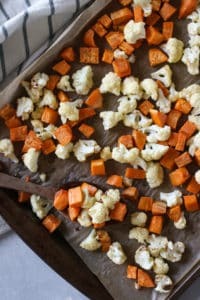 The cauliflower is actually meant to be added raw to give the dish some texture but you can certainly roast it alongside the sweet potatoes if you’re not a fan of raw cauliflower. 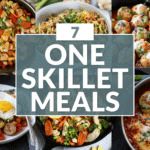 I’m obsessed with this—I have been eating for past four days (glad I made a double recipe)!! I did steam the cauli for a few min, just to keep crunch, but not be totally raw. Thanks!! This looks great! I’ve pinned and will definitely make this when we get back from vacation!!! Awesome! Thanks for pinning and happy vacationing! I’m curious as to a substitute for the egg for vegans? I made this last night, followed directions almost exactly (roasted the cauliflower with the sweet potatoes after giving the sweet potatoes your suggested 10 minute head start). I’ve never commented on a recipe before but this is outstanding (I also used the dill from my garden instead of parsley. Following Whole30 so homemade mayo (takes 2 minutes), uncured bacon and mustard without added sugar or wine (decided to use a coarse ground mustard) of course! This is so great to hear. In fact, this comment made my day! So glad you loved this salad. And yes, you can’t beat homemade mayo! 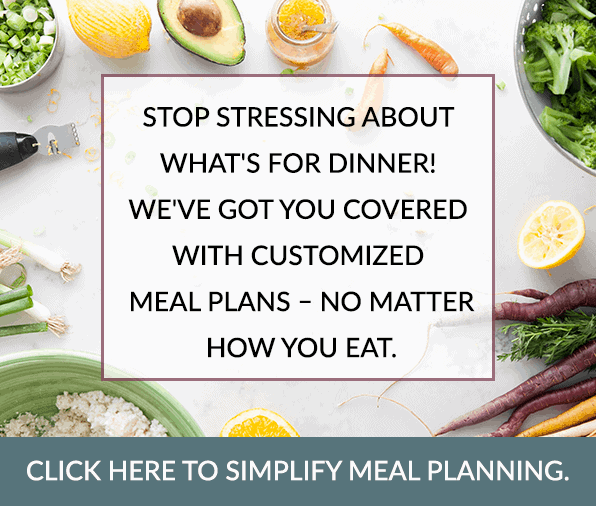 So good and so easy! Wondering if plain yogurt could be substituted for the mayo or if anyone has tried it? We haven’t tried substituting plain yogurt for the mayo though I would imagine it would work just fine. You may want to opt for a Greek-style yogurt to keep the salad from getting watered down though. The directions are for roasting the cauliflower and I loved it as written! A great recipe. This salad is AWESOME!! I made it for a family gathering and everyone wanted the recipe. I made a double batch and reserved some without bacon for my vegetarian relatives, then served the rest of my family, including a nephew with significant dietary restrictions. YUM! I just made this and it is excellent! Thank you!